In the latest drip from the Russia probe news spigot, the New York Times reported on Wednesday that President Trump’s lawyer floated the idea of pardoning disgraced former advisers Paul Manafort and Michael Flynn last year. The talks suggest that Mr. Trump’s lawyers were concerned about what Mr. Flynn and Mr. Manafort might reveal were they to cut a deal with the special counsel, Robert S. Mueller III, in exchange for leniency. Mr. Mueller’s team could investigate the prospect that Mr. Dowd made pardon offers to thwart the inquiry, although legal experts are divided about whether such offers might constitute obstruction of justice. Ah, who to believe? The White House typically denies such reports when they first break, even if they later turn out to be true. Take last week, just days after Dowd resigned, when Trump tweeted that “Fame & fortune will NEVER be turned down by a lawyer.” The Daily Beast reported the following day that two more high-powered attorneys had taken a hard pass on joining his legal team. On Wednesday, the Times itself pointed out that Trump has near-absolute power to pardon people. Which is to say: Dowd talking over that possibility with lawyers for Manafort and Flynn would certainly give off the appearance of wrongdoing. It’s shady. Perhaps more importantly, though, it raises the question of what the White House legal team doesn’t want Manafort and Flynn to share with Mueller’s investigators. By vehemently denying a report by well-sourced journalists, the Trump administration has once again managed to draw even more attention to its conduct. 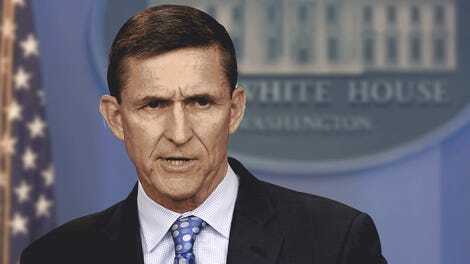 SCOOP: Have You Ever Thought About the Fact That Michael Flynn Looks Like Sam Eagle From The Muppets?